RMO begins in a lobby set in a space station high above the earth (pictured). There, you choose a character to play as (demo featured X and Zero). Once you've chosen a character, you can either depart on a mission or shop at the "town." In the currently nameless town, you can purchase new equipment, weapons and avatars. The higher your character's level, the more attributes your character can equip. The town was not featured in the G-Star demo version. Up to four players can form a unit and set out on missions. This feature was not available at G-Star but will be implemented in the final version. All characters can crouch and scale walls. Double tap left/right arrows or press 'C' to perform a dash. 'Z' is jump, 'X' is normal attack. Holding down the attack button executes a character's charge attack. Special attacks are mapped to the A/S/D/F keys. HP Recovery items are mapped to '1', MP (Weapon Energy) recovery items are set on '2'. These types of items are purchasable in the town. Characters go through a 'cool down' period once a recovery item has been used. This feature prevents players from spamming recovery of HP/MP. The cool down period ends in a matter of seconds. 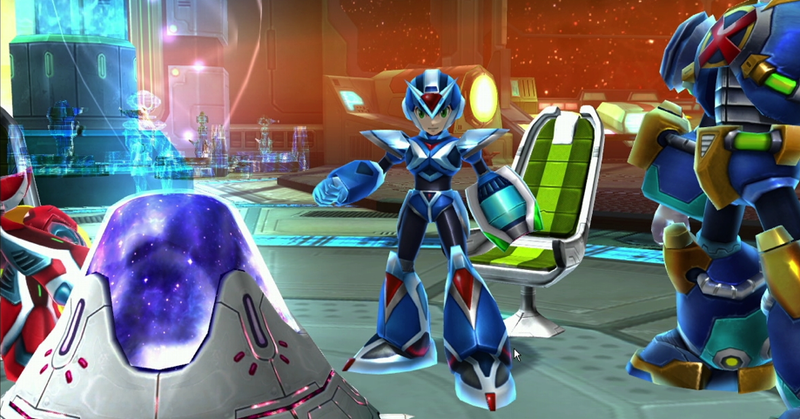 Rockman Online is slated to launch in Korea at an undetermined 2011 date. News of beta testing will be discussed at a later date. Neowiz is currently undecided if the game will release in Japan; No word on the rest of the world. There were four kinds of 'Battle Disks' present in the demo. You cycle through these with the Tab key, and press the B key to activate. The Battle Disks give characters special abilities such as becoming immune to spikes. The cool down period is speculated (by the author of the original report) to be for the G-Star demo only. It might not necessarily be in the final version. As your character levels up, the ability to access to stronger equipment and how it relates to your avatars appearance is said to be very "Rockman-ish." That's all we were able to scrounge up for now. Thanks, RockX! Send anything you find here and I'll translate it. Translations for everything I haven't done until now are underway. Planning on finishing everything by around the time G-Star finishes. Isn't it amazing how a little thing like avatar customization can really change how well someone enjoys a game? Which one is the better? Rockman X Online or Megaman Universe? Apparently, Gaia is a giant space station in the top of a orbital elevator/tower like MM10, MMX8, MMXCM, Z1 and Z3. First anon: They're two different types of games. MMU isn't even online. Oh, that's easy. Rockman Online, of course. Unlike Mega Man Universe, that game doesn't make me want to puke. I kinda don't wanna be bunched in with all the hundreds/thousands of Zero's and X's that are bound to be running around. I like being a bit... unique, so to speak. 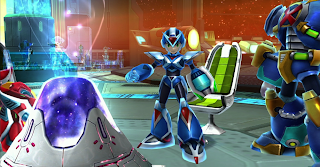 Rockman X Online or Megaman Universe?" Duh, welcome to the internet! It's like Phantasy Stary Online: Blue Burst and Rockman had a baby. Hehe, Z is jump and X is attack.